Whippin’ Up a Party! | Faded Jeans – Arizona's Party Band! Salutations Faded Jeans friends! 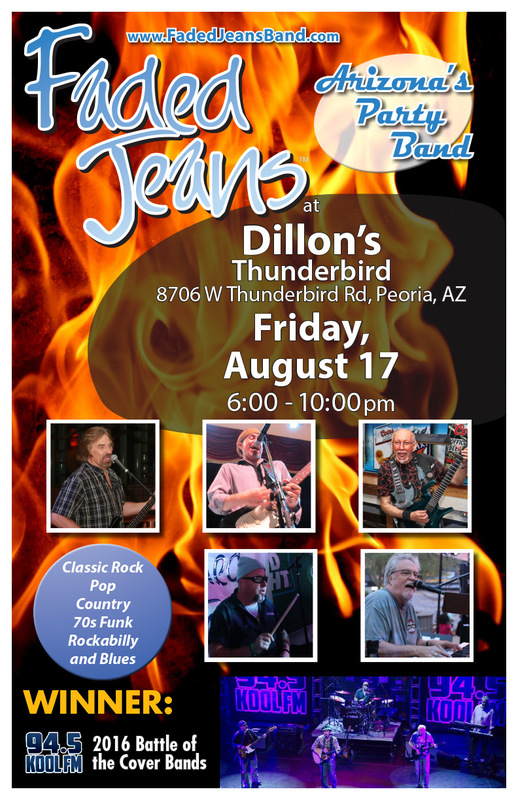 The recent weather may have whipped you (or your home) into a frenzy, but we think we might have a cool solution: join us Friday at Dillon’s Thunderbird for a fun night! Friday, August 17, 6 to 10 p.m.
For the guys in FJB, some of the most fun we can have is turning folks’ parties into events to remember! We have already started scheduling for 2019, so get us on the books for YOUR special event before our calendar fills up. We want to help make your next house party, reception, or gala extra special. Contact us today and get Faded Jeans on your calendar!